With Apple taking a greener, more sustainable path in the Tim Cook era, we’re unlikely to see ads cropping up any time soon that show executives laughing at the prospect of turning alligators into handbags and shoes. Welcome to 1985! This early ad for the Macintosh isn’t nearly as well-known as Ridley Scott’s “1984” masterpiece, but it does a great job of helping establish the kind of irreverent humor that has frequently characterized Apple ads over the years. Remember the time Apple took a crack at the Flashdance theme for a hilariously cheesy 1980s corporate ad? No? Well check it out and be reminded! While it’s pretty cringe-worthy stuff in a lot of ways, it is a reminder of a part of the Apple personality that has long since been airbrushed from existence: the geeky, friendlier computer company happy to poke fun at itself. At least, that’s what we hope is going on here. This ad is pretty appropriate given Apple’s newly launched “Back to School” promotion. It’s certainly a bit strange, starting out in a Nightmare on Elm Street-style bad dream about forgetting to study for a history test, only for the central character to wake up and realize his Mac is the perfect study aid. In the corresponding Samsung ad, we imagine the kid would have just copied from the person next to him. While 99 percent of Apple’s ads hit the mark — nailing the aspirational goal of making the typical Apple user look like an everyman, but just a bit cooler — this TV spot is a miss. Coming soon after the iconic “Think Different” ad everyone knows and loves, this iBook commercial portrayed Apple users as inconsiderate, socially inept weirdos. The fact that it ends with Baha Men’s “Who Let The Dogs Out?” — a song that went from zero to teeth-grittingly annoying in an incredibly short space of time — just makes it worse. Hey, at least it got actor Milo Ventimiglia a bit of work before Heroes came long. It’s only recently that Apple has gotten better at selling to enterprise customers. Speak to any Apple employee involved in this area from the 1980s, and they’ll likely pour out their heart about the frustration of pitching a superior computer to businesses, only to be let down with the news that the suits will be sticking with the then-unassailable IBM. Called “Hard Sell,” this 1987 TV spot turns that around with the aid of a neat (and somewhat subtle) twist at the end. A great, understated Apple ad. This 1994 campaign looked fondly back on the outdated world of robots and hover cars, before dismissing them in favor of the Macintosh. 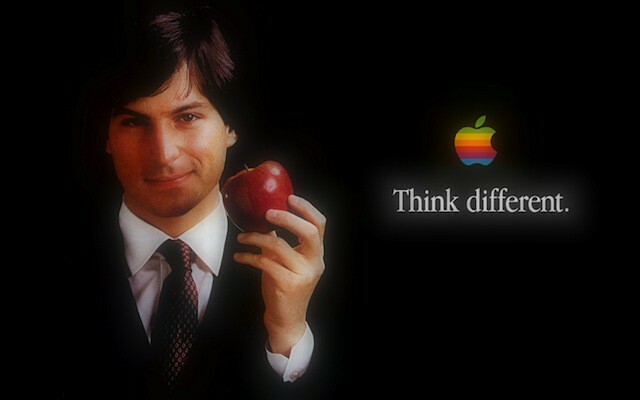 It’s a cheeky, geeky advert, and a lot softer than some of the more abrasive ads Apple was running in the ’90s. A lot of people remember the first Mac ads, but how many people remember the first Apple II spot? Created for High Technology, one of the first Apple resellers, this spot does a pretty good job of explaining exactly why you would want a personal computer at a time when there really weren’t all that many compelling reasons to do so. While this is technologically a world away from the Apple ads of today, it’s interesting to see that in some ways very little has changed: This commercial focused as much on the user experience in 1977 as Apple’s ads do in 2014. Of course, where today it’s all about using iPads to measure the trajectory of baseballs, or using iPhones to track your health, 37 years ago the focus was more on balancing checkbooks and coding your own Pong game. One of them was PlainTalk, the collective name for Apple’s MacInTalk speech-synthesis and speech-recognition tools. Those features take center stage in this ad, which crows about the next iteration of the user interface at a time when a lot of PC users were still working with DOS. Strangely enough, the most un-Appleish thing about the ad is its promise that a Mac “costs less” than its rivals. Ads for failed products are almost guaranteed to be forgotten. The Newton was Apple’s doomed line of personal assistants, which in many ways prefigured both the iPhone and the iPad. Despite some early flaws, the Newton was actually a great product by the time Apple finally threw in the towel. This ad’s pretty great, too, with a stylish prowling camera and a wicked undercurrent of black humor.